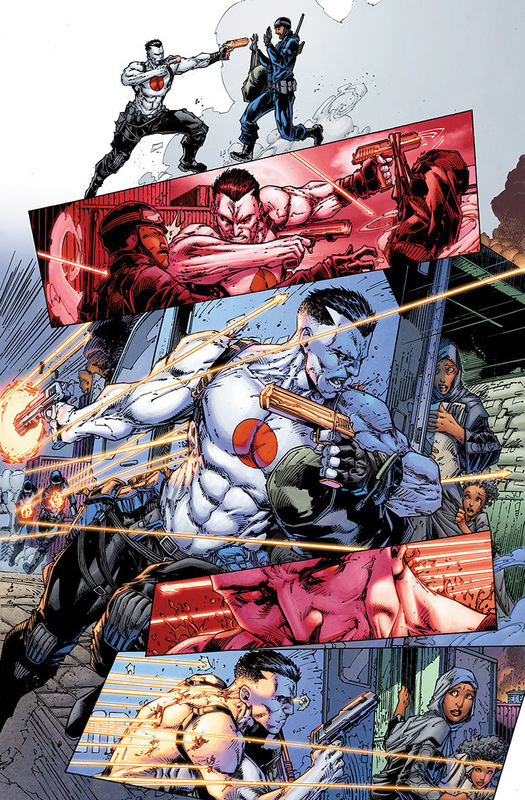 As first revealed on Deadline, Bloodshot, the unstoppable supersoldier trapped in a never-ending war, has arrived! 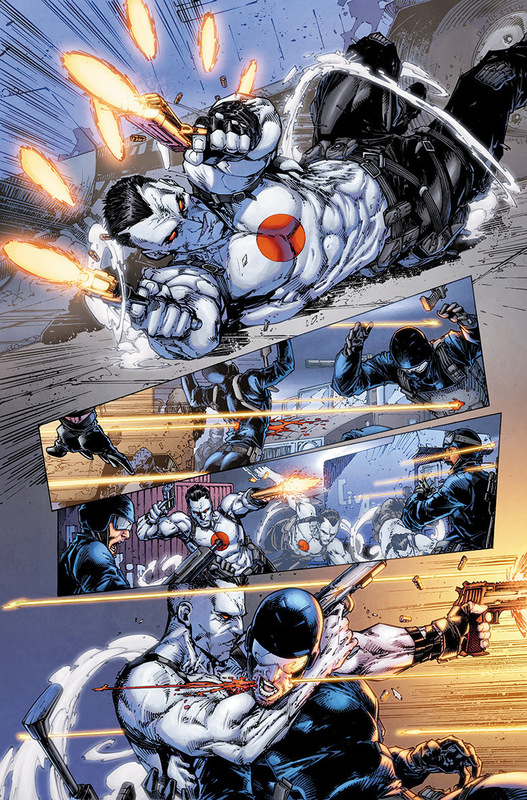 Written by the electrifying Tim Seeley (Revival) and featuring artwork by industry icon Brett Booth (Teen Titans), this tremendous team is crafting a Bloodshot adventure full of badass action, surprising stories…and then some more badass action! Declan Shalvey (Return of Wolverine) will illustrate covers for the series. Artwork from BLOODSHOT (2019) #1 by Brett Booth. Inking by Adelso Corona, coloring by Andrew Dalhouse. Artwork by BLOODSHOT (2019) #1 by Brett Booth. VALIANT: BLOODSHOT FCBD 2019 SPECIAL Cover Artwork by Dan Brereton. 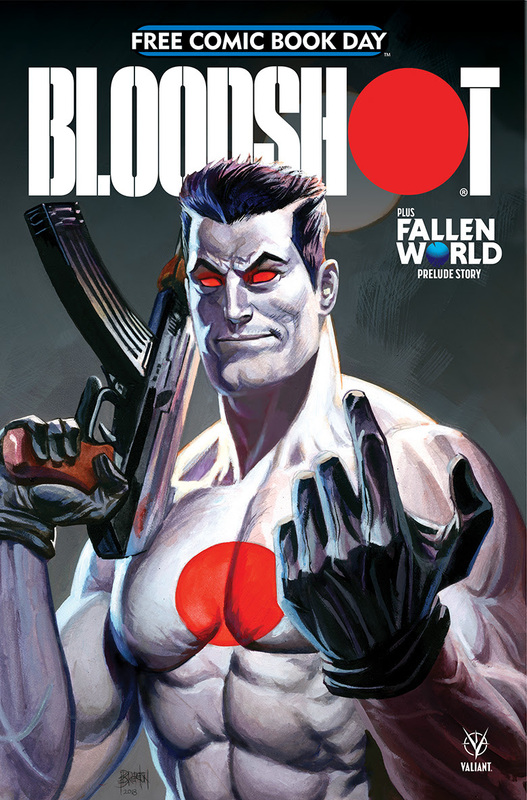 BLOODSHOT is the latest release from Valiant Entertainment, a wholly owned subsidiary of DMG Entertainment, founded by Dan Mintz. Since acquiring the publisher in early 2018, DMG Entertainment has placed a premium on developing and expanding upon Valiant’s publishing arm, continuing to build out its vast universe of characters. DMG Entertainment will also play an integral role in producing Valiant’s features in conjunction with the studios. Valiant Entertainment, a subsidiary of DMG Entertainment, is a leading character-based entertainment company that owns and controls the third most extensive library of superheroes behind Marvel and DC. With more than 80 million issues sold and a library of over 2,000 characters, including X-O Manowar, Bloodshot, Harbinger, Shadowman, Archer & Armstrong, and many more, Valiant is one of the most successful publishers in the history of the comic book medium. Valiant consistently produces some of the most critically acclaimed comics in the industry and has received numerous industry awards and accolades, including a Diamond Gem Award for Comic Book Publisher of the Year. For more information, visit Valiant on Facebook, Twitter, Instagram, and ValiantEntertainment.com. For Valiant merchandise and more, visit ValiantStore.com.